Set foot on the continent of Antarctica, sail through iceberg sculptures and experience some of the world’s rarest sea animals and wildlife on this 10-day roundtrip voyage on board Silversea’s Silver Explorer. Departing Ushuaia, Argentina, on 12 December, 2014, Silver Explorer will begin its journey by navigating the deep waters of the Drake Passage, a natural boundary where cold polar waters flow northward and warmer equatorial waters move southward. Renowned for attracting a multitude of whales and seabirds, including the black-browed albatross and white-chinned petrels, the Drake Passage provides guests with the opportunity to experience exquisite wildlife in a unique setting. 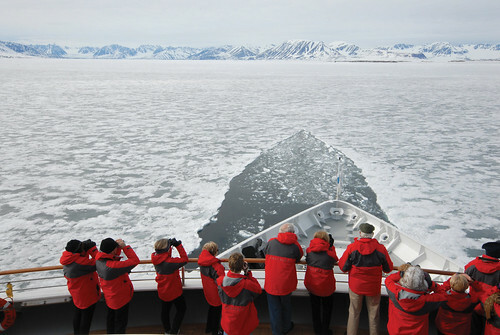 Sailing through the Antarctic Peninsula, each turn will reveal a breathtaking sight of icebergs and calving glaciers. 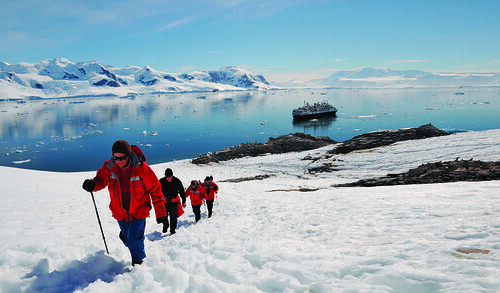 Conditions permitting, guests will explore the Antarctic surrounds via Zodiac and visit such locations as: Brown Bluff, an ice-capped, 745-metre-high mountain; Paradise Bay, where guests can observe Argentina’s Base Brown, one of many Antarctic research stations; and Paulet Island, home to 80-90 thousand Adelie penguins, that often cover the entire island. Cruising back through the Drake Passage, guests will witness more wildlife and attend presentations offered by the on board Expedition Team. Returning to Ushuaia, guests will disembark on 22 December, 2014. Prices are per person starting from AU$12,410 in an Adventurer Suite double occupancy. Silversea’s fares include charter flight between Buenos Aires and Ushuaia, all shore excursions hosted by an expert expedition team; all-suite accommodation with butler service; gourmet meals with menus designed by Relais & Châteaux; complimentary wines, Champagne and spirits served throughout the ships; and all gratuities. This voyage is subject to availability. Expedition highlights and wildlife listed here are possible experiences only and cannot be guaranteed. Terms and conditions apply.